The Chicken Dance is about a boy named Don. Don lives on a farm and enters a chicken judging contest. He wins first place and gets invited to the international chicken judging contest. He stumbles upon a birth certificate saying his name is Stanley. He starts to learn about his family and who his real mother is. 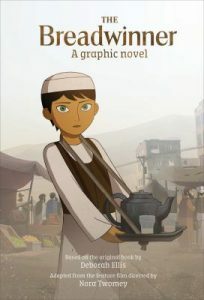 The Breadwinner is a brilliantly-paced book about a young girl, Parvana, living in Afghanistan. When her father gets arrested by the Taliban, she pretends to be a boy in order to support her family. Great for all ages, this book will bring suspense, thrills, and some knowledge of Afghanistan through Parvana’s life in Kabul. Snail Mail No More is about two girls who email each other. They are best friends, but one of them moved away so they contacted each other by letters (a.k.a. snail mail) and then by email. Each girl contacts one another to help resolve a problem, and for advice. I would recommend this book because it is an easy read and relates to real life. Everlost is about two kids, Allie and Nick, who got killed in a car crash. Now, they’re in a place between heaven and earth: Everlost. They feel lost there and miss their families. They have to learn to accept that they are no longer alive and face their fears, along with many challenges. This book was about a regular 12-year-old boy in a not-so-regular town. He finds himself surrounded by other kids who apparently have super powers. They ask him to help save them from an unknown being who robs them of their powers once they’re 13. This book was heroic and fun to read. I would recommend it to almost anyone. Things Not Seen by Andrew Clements is a thrilling tale. It’s about a boy named Bobby Phillips who wakes up one morning and is invisible. Bobby struggles at first but then gets used to being invisible. Can Bobby find a cure? This tale has romance and action. I give The Hunger Games a 5 out of 5 stars. It’s about a capital, Panem, that is surrounded by twelve outlying districts. The capital is harsh and cruel. They (the Capital) send one boy and one girl between the ages of 12–18 to participate in the Hunger Games, a fight to the death on live TV. This book is a very good read. It has action and violence and you must read it. Kendra and Seth go to stay with their grandparents. It turns out that their grandparent’s house has a forest full of endangered mythical creatures. Their grandpa is the caretaker of the place (Fablehaven). Then something bad happens, an evil witch is released and she tries to release a demon. Will Seth and Kendra be able to stop her? The Goonies was a great movie about an adventure with a purpose. 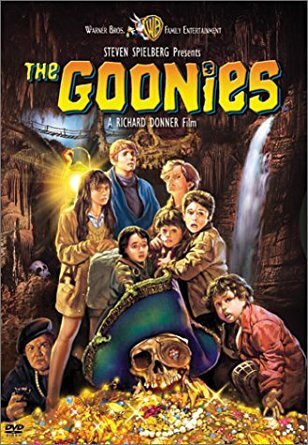 A band of kids (the Goonies) are on a quest to find treasure to help save their homes from foreclosure. I loved the scary monsters and the classic shoot ’em up bad guys! I also loved the past vs. present duel between an ancient pirate stronghold and a clever, adventurous boy. I recommend this movie for any and all over 13 years old.